Ranked #13th Best Course in The State! EXCITING GOLF AND GAMBLIN' AWAITS YOU AND YOUR FRIENDS! PRIMM VALLEY GOLF CLUB - ONLY 45 MINUTES! CASCATA - ONLY 45 MINUTES! BOULDER CREEK GOLF CLUB - ONLY 45 MINS! EASILY BOOK LAS VEGAS COURSES TOO! The Laughlin Golf Courses combine to offer one of the grate undiscovered golf destinations in the west. With a total 9 excellent golf courses within 45 minutes of the Laughlin casino strip, there are numerous options for golf packages and tee times. Situated on the banks of the mighty Colorado River, Laughlin offers modern Vegas style hotel casinos, plenty of tasty restaurants, two museums, exciting water sports, and a variety of shopping and pampering. With everything Laughlin has to offer, it’s easy to understand now is the time for you to experience a Laughlin Golf Package! 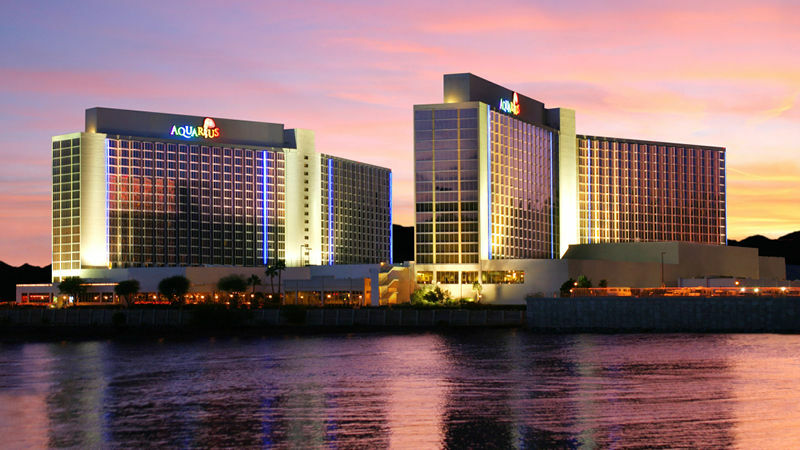 Laughlin is an exciting golf and gaming hotspot, and your next golf getaway! To enjoy Laughlin the right way, you need trusted advice and experience on which Laughlin Golf Courses to play, where to stay, what dining options are a must, and and how best to schedule each component for the best price. We have been booking Laughlin Golf Packages for over 7 years and we can help you book a hassle-free, memorable golf vacation to Laughlin! Awesome Schedule, Great Courses and Really Easy To Book! “I wanted to thank you for setting up everything for us. We had an absolutely wonderful time and the courses you picked were excellent, and scheduled perfectly. The hotel we stayed in was very nice and worked out very well for our group. Thank you so much for a great time and we will look to you again in the future.” – Dennis D.
Our staff are experienced golfers and savvy travel professionals who know exactly how to help golf vacationers book a perfect golf & gamblin’ getaway. This website offers simple quotes and an easy booking system, but we’re standing by to help you create and book your Laughlin Golf Package quickly and conveniently. We offer experience, confidence and insight to make your Laughlin golf vacation easy and truly unforgettable. GolfLaughlinNevada.com is operated by GolfPackagePros, a talented team of well-traveled golfers, including award-winning golf course photographer Brian Oar, veteran golf travel writers, and an established golf packaging company. Our staff has been covering and booking Laughlin, Nevada golf for 8 years and helping guests like you enjoy memorable golf vacations in other popular golf destinations the western United States.